Dramatic License Productions focuses on the songs of the holidays as they bring a delightful quartet of performers to the stage in “A Holiday Cabaret.” It’s a quick 90 minutes- even with the intermission- but it’s a show jam-packed with traditional and not so traditional songs of the season. 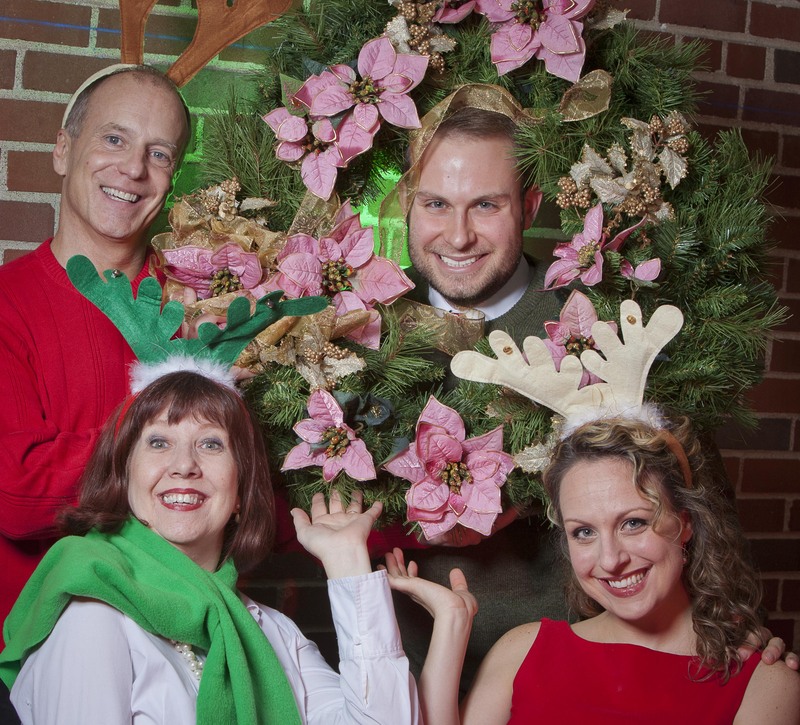 Ron Gibbs, Michele Burdette Elmore, Brian Kim and April Strelinger bring us songs of the season in the Dramatic License Production of "A Holiday Cabaret." Rounding out the talented quartet is the always wonderful Michele Burdette Elmore. As she and Ron Gibbs reminisce before their show-stopping song and dance number to “Baby, It’s Cold Outside,” they both have a history (which still continues) with Stages. She still has marvelous stage presence and belts out a number like nobody else. It’s just a delightful way to spend 90 minutes away from your hectic holiday shopping (Dramatic License is in Chesterfield Mall, after all) and enjoy the sounds of the season with some of the best singers and performers around our town today. Join them for “A Holiday Cabaret” through December 18th. Call 636-220-7012 or go online to http://www.dramaticlicenseproductions.org for tickets or more information.